Getting pre-approved by a lender makes it easier for buyers to find the home they want within their price range. However, it does not guarantee you’ll get the mortgage. It is simply a certificate saying that through a quick calculation of your finances, the lender has determined what you can afford. During the pre-approval, the lender will also fix the interest rate, which is usually good for between 60 and 90 days. If a better rate promotion occurs during the buyer’s fixed period, the buyer is usually eligible for that as well. It is likely the pre-approval will lead to a mortgage, but there have been situations when this has not been the case. The best way for buyers to ensure success is to understand what the lenders look for and to be prepared. Another way is for buyers to work with their mortgage broker, who can flag any potential challenges. A lender will determine a buyer’s debt load by calculating the Gross Debt Service (GDS) Ratio and Total Debt Service (TDS) Ratio. The GDS Ratio is the proposed housing costs, including mortgage payments, taxes, heating costs and 50% of condo fees, if applicable, and shouldn’t be more than 32% of the buyer’s gross monthly income. TDS calculations take into account all the buyer’s other debt obligations and shouldn’t be higher than 40%. Once a buyer has made a conditional offer on a home, the lender will gather all the documentation required to approve the mortgage, including a credit report. Other items a lender will need are a letter from an employer confirming the buyer’s salary, information about other sources of income, bank accounts, loans and other debts, proof of financial assets, sources of the down payment and deposit, and proof that the buyer has the funds for closing costs. 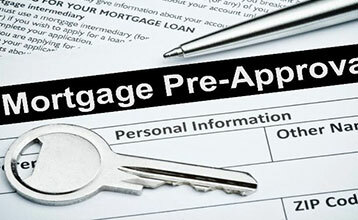 Problems can crop up during the mortgage approval process. For example, the buyer’s credit score may be too low, the buyer might not have the right source for the deposit funds or the closing costs may not have been deposited in an account. The buyer’s GDS and TDS ratios might also be too high.